The Audubon Society is recognized as one of the most influential environmental nonprofits in the United States. The first chapter was created in Massachusetts by a group of female advocates angered by the slaughter of millions of waterbirds for the millinery of women’s hats. Their founding date was 1896 (Obmascik, 2004). The group took the Egret for their symbol to honor these beginnings. By 1898, 16 states across the country followed suit including Maine, California, and Indiana. In 1901, these state-level organizations combined forces to help establish the first National Wildlife Refuge in the U.S., the Pelican Islands of Florida. For over a century, the Audubon Society has been a leader in securing wild lands for future generations, educating the public, protecting biodiversity, and shaping public policy. Audubon laid its stamp on many important landmark laws in American history, including the Audubon Model Law passed in 1901 to protect water birds from plume hunting, the Migratory Bird Treaty Act in 1918 which protected all migratory birds in the US and Canada and established valuable sanctuaries, aggressive campaigns which led to the 1972 EPA bans on DDT, and the Everglades Protection and Restoration Act signed by President Clinton in 2000. Partnering with other environmental organizations, the Audubon makes education a priority, encouraging several yearly bird counts and other forms of citizen science. In 2014, the Audubon society drew heavy notice with their release of the watershed climate report an extensive study supported by decades of research. This report predicted that climate change, through loss of habitat, would cause the demise or endangerment of 314 bird species by 2080 (The History of Audubon, 2015). In the 117 years, since the Audubon society was first founded, the organization has grown to nearly 500 chapters. While education and conservation are a top priority, establishing laws to protect them is essential. “Audubon environmental policy, education and science experts guide lawmakers, agencies, and our grassroots in shaping effective conservation plans, actions and the policies to support them” (Audubon: About us, 2015). As the millennial generation comes of age, they begin to assess possible membership of organizations and societies. The Audubon Society’s dedication to education, environmental protection, and biodiversity preservation makes it a valuable organization, one that present and future generations should support and maintain. Obmascik, M. (2004). The Early Birds. In The big year: A tale of man, nature, and fowl obsession. New York: Free Press. 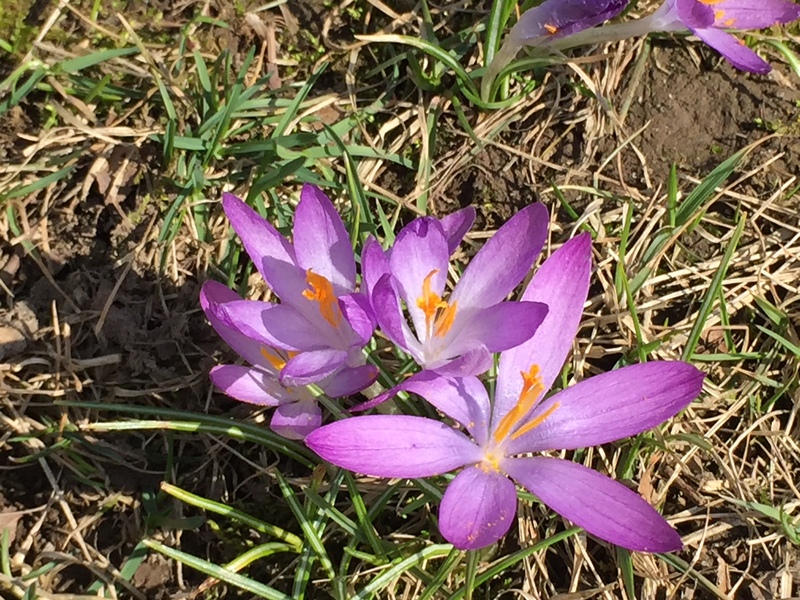 Spring flowers are beginning to pop up during my daily walks. Thought this quote was fitting.